Jun 25 - Jun 27	Robots! Aug 6 - Aug 8	Robots! Only $149 for the first camper. Lunch and snacks included! 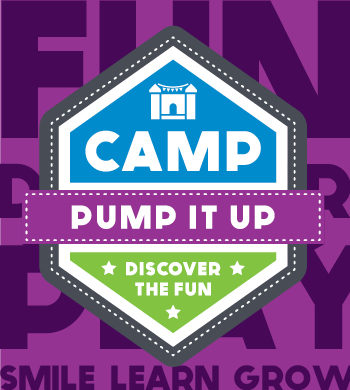 We’ve hosted thousands of field trips at Pump It Up and here’s what we know: kids love bouncing, playing and learning about the benefits of active playtime and imaginative play. Your group will have a completely private field trip, so the kids are safe and secure. Our special pricing for schools, day cares, and other “kid-centric” organizations make field trips as affordable as possible! 15 child minimum. Extra jump time and snack options available. Host a private playtime during the week. Parents can catch up with each other while we supervise the kids in our private, safe, and clean, inflatable-filled arenas. 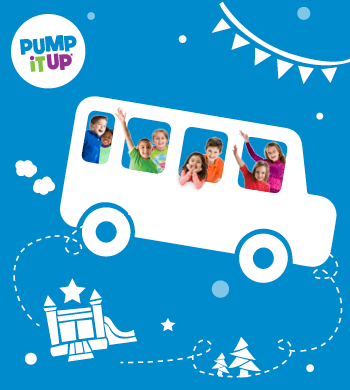 Pump It Up provides the benefits of exercise and imaginative play, all in one venue! 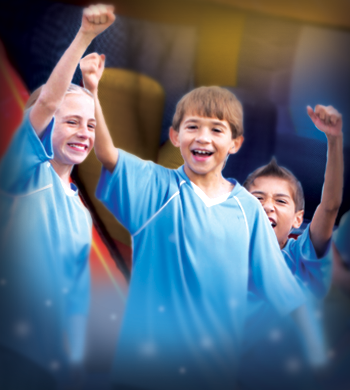 Pump It Up is the perfect place to celebrate with your team! We offer fun, private team events to kick-off the new season, celebrate a big win or host an awards ceremony. Jump in to Pump It Up with your team and host a completely hassle-free party. Our team parties include one hour of play on our huge inflatables, 30 minutes in a private party room for food and awards, balloons and free air hockey. Team parties are simple to organize, and no deposit required (credit card is required to reserve). 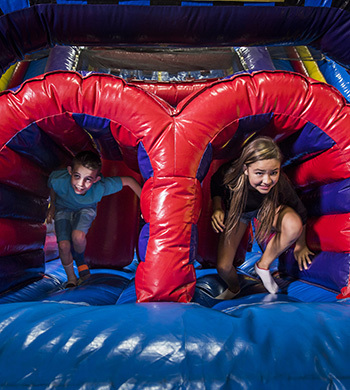 Host your next fundraiser at Pump It Up! It’s simple, easy, effective, and held at a special place where everyone can get involved by just having fun. 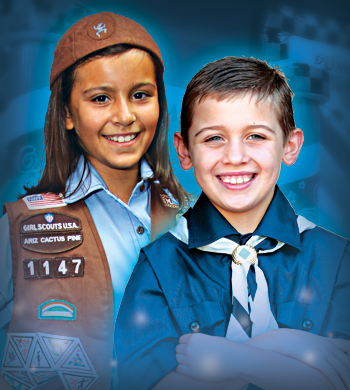 Our fundraisers for large groups (50+ kids) can generate over $500 for each hour of organized play.